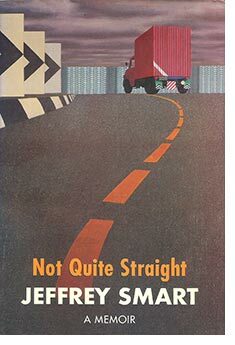 JEFFREY Smart sees absurdity in our bright modern world, but he is not a mocker. A painting like "The Terraces, Madrid Airport II", in his current Brisbane exhibition, is a typical gem, full of wry humour and strange portent: as impressive planes glide past, a section of concrete ceiling has just collapsed - narrowly missing two horrified onlookers. The picture is about the insolent pride of modern planners, to be sure, but it is also about spirituality, since the onlookers have been spared by some capricious force or deity. "I think there's a spiritual force," explains Smart, talking on the phone from Sydney. 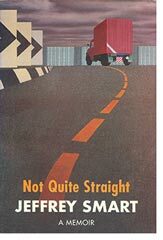 Jet-lagged but bouyant, he is in Australia, visiting Sydney, Melbourne and Adelaide to promote his newly published memoirs, "Not Quite Straight" and finally coming up to Brisbane for his only Australian exhibition. "I'm atheist, not an agnostic," he continues. "I'm convinced there's something going on. I don't know what it is, but I feel protected: the world can be malevolent, but it can also be very benevolent. "I think there's something that moves one when you paint, I think there's a moving spirit." Whatever spirit it is that guides him, Smart has repeatedly said that art should be made out of the ordinary world, and that is why he paints airports, carparks and expressways. But, of course, only a special artist has the ability to show the extraordinary and unexpected in this ordinariness. Smart's gift is to recognise, and eternalise, what we mostly ignore. Through his art he makes a monument out of an arcing expressway; captures the strange feeling of embarking on a journey into the unknown that occurs on an escalator ride into the gloomy depths of subway stations. Is this what makes him so popular? Partly, perhaps. His shows tend to be high-priced sell-outs, and he has been astonished by the eager reception of his book of reminiscences. "The book launch (in Sydney) was fantastic, really, the book's doing amazingly well, "he says. Can we then expect another book? Perhaps, he muses, but definitely not at the expense of painting time. "It was rather nice, writing a bit - I did about two hours writing a day for 18 months - then painting, then I'd go back and do more writing. "I rationed (the writing) out, otherwise I wouldn't have painted. But I flagged out towards the end, got sick of it, that's why I've stopped really, essentially, in 1974. I suppose I could have a breathing spell and take up the story again from 1970 on. "But I don't think I will. I want to get home, and start painting again." Home is a 300-year-old Tuscan Farmhouse, just outside of Arezzo, in Italy, where he has lived since 1963. 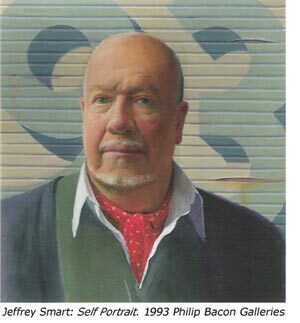 Smart's immediate Tuscan surroundings are much as they have been for centuries, and he sticks to the immemorial routines of the painter in his studio, patiently preparing sketches, studies and detailed final paintings, much as Piero della Francesca and Vermeer (two of Smart's idols) must have done centuries ago. But he is acutely aware of the changes taking place in contemporary Italy, which are all grist for his work. "The people are better off, especially in the north where I am, there's not much real poverty now, although there's still poverty in the south. The country's running well, despite all the corruption in government and everything, the country's working." He is equally impressed with the changes over the past few decades in Australian cities, pronouncing Brisbane (last visited in 1992) to be "marvellous" these days, and Sydney "astonishing": "I think it's one of the most beautiful cities in the world, isn't it?" 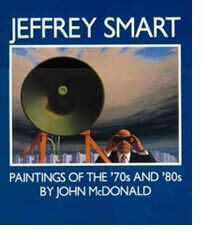 Sydney is about to return the compliment: there is interest at the Art Gallery of New South Wales in mounting a retrospective exhibition of his work, which hopefully will take place in a couple of years time.